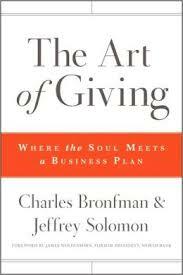 A unique guide to finding purpose, meaning, and results in the complex world of charitable giving In this definitive guide, world-renowned philanthropist Charles Bronfman and lifelong expert and nonprofit leader Jeffrey Solomon show donors and potential donors how to become street-smart, effective philanthropists. 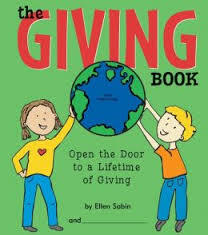 Whether you are a potential donor, active donor, or a nonprofit professional working with donors, The Art of Giving reveals how the act of giving benefits not only the recipient but also oneself. Billions of philanthropic dollars go to waste every year. The reason for this is often poor strategy. 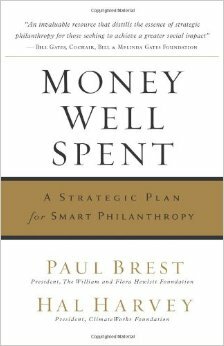 Drawing on examples from many different foundations, “Money Well Spent” presents donors with the framework to design a plan that will ensure meaningful returns. 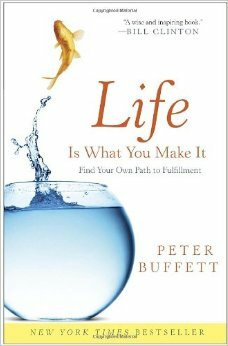 In "Life Is What You Make It," author Peter Buffett expounds on the strong set of values given to him by his trusting and broadminded mother, his industrious and talented father, and the many life teachers he has met along the way. The son of billionaire investor Warren Buffett says that the only real inheritance handed down from his parents was a philosophy: Forge your own path in life. It is a creed that has allowed him to follow his own passions, establish his own identity, and reap his own successes. 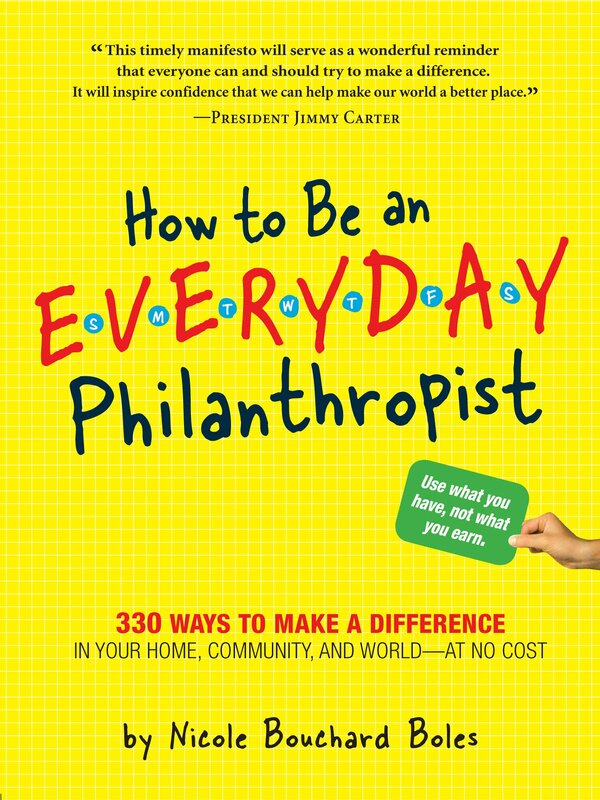 With practical, step-by-step information, this third edition of "Inspired Philanthropy" shows how everyone can align and integrate values, passions, and dreams for their communities and families into their plans. 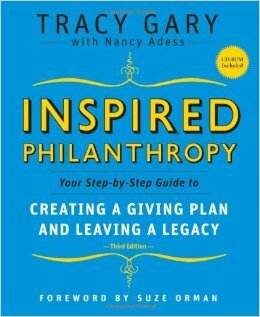 It explains how to make a difference by creating giving and legacy plans, tells what questions to ask nonprofits, and spells out how to help donor partners with advisors for inspired outcomes. Whether you are a donor, an advisor, or a nonprofit, Inspired Philanthropy helps you with inspired, clear, and thorough giving and legacy planning. Almost every daily action can result in a small but deeply meaningful act of giving. Here are 330 unexpected ideas for making a difference - ideas that have nothing to do with the size of your bank account and everything to do with using assets you already have. As Julie Salamon, author of Hospital, says, "This book is the perfect guide for those who want to do the right thing, but can't figure out how." 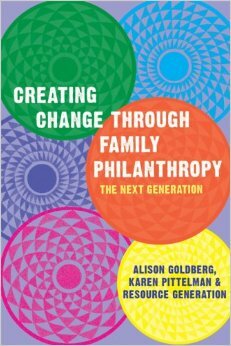 Creating Change Through Family Philanthropy explains how privilege works in our society, and how young people can use it to better society. Based on the authors’ experiences with Resource Generation, a national nonprofit working with wealthy young progressives, the book makes the case for addressing urgent social and economic needs financially. It frames controversial topics from power dynamics to grants payout in an accessible way, offering next-generation readers the tools they need to transform their funds. How many times have we heard ourselves, our friends, or our kids' grandparents complain that children have too many things and don't appreciate any of it? We all enjoy doing things for children - buying them something special, taking them on a fun outing, throwing a great birthday party. But at the same time, many of us fear that without some balance, most children will grow up thinking only of themselves. This observation is what led Carol Weisman to write "Raising Charitable Children." Weisman shares real-life stories of how parents, grandparents, aunts, uncles, teachers, scout leaders, friends, next door neighbors, and her own family have either initiated or supported ways to teach children how to give back to those in need. A gift for young readers ages 6 to 11 – inspiring, teaching and engaging them to give back to the world. It is a unique, interactive process that allows parents, teachers or friends to help children understand giving and participate in a stimulating experience. The 64 page, spiral-bound, hardcover book combines colorful illustrations and entertaining narrative with fun learning activities. The book helps them record their ideas, dreams and wishes for the world – making them the authors of their stories and creating a “scrapbook” of their journey into compassion, philanthropy and the power of their actions.